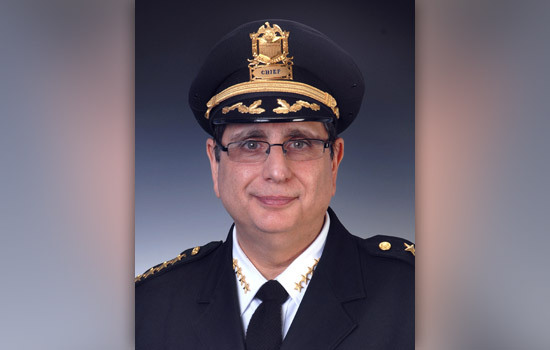 Rochester Police Chief Michael Ciminelli ’78 (criminal justice) epitomizes what it means to be a non-traditional student. While completing his criminal justice degree at RIT, Ciminelli also worked full time as a police officer in the Rochester Police Department. Overcoming these challenges prepared Ciminelli well for his career ahead. After being appointed its chief of police in 2014, he now oversees the same police force where he began as an officer 40 years previously. And, although he has long since left RIT as a student, he is still very much connected to the university. Ciminelli works closely with RIT’s Center for Public Safety Initiative (CPSI) on several important projects that provide him and the department with analysis to better understand the reasons for crime and ways to help reduce it in the city of Rochester. CPSI also assisted the department in evaluating a high-profile reorganization in 2015 that re-established neighborhood police beats in an effort to improve police and community relations—an aspect of law enforcement that Ciminelli is passionate about. “Police cannot fight crime alone. We need the help and active partnership of the community or we will fail,” he said. This same passion also brought Ciminelli back to his hometown after serving as the chief of police in Elmira, N.Y., and as deputy chief counsel within the Drug Enforcement Agency in Washington, D.C.
Ciminelli will be honored on Oct. 13 at the Presidents’ Alumni Ball as the College of Liberal Arts 2017 Distinguished Alumnus.